The annual Pandarpur Yatra to the Pandharpur Vithoba Temple starts with the Shri Tukaram Maharaj Palki Prasthan from Dehu in Pune District of Maharashtra. In 2019, the date of the beginning of Sant Tukaram Maharaj Palki from Dehu is June 24. Pandarpur Yatra ends on Ashadi Ekadasi on July 12, 2019. Warkaris (pilgrims) follow the Palki of Sant Tukaram to the Vithoba Temple. This is one of the most popular pilgrimages in Marathi culture and people from all walks of life participate in the Yatra. 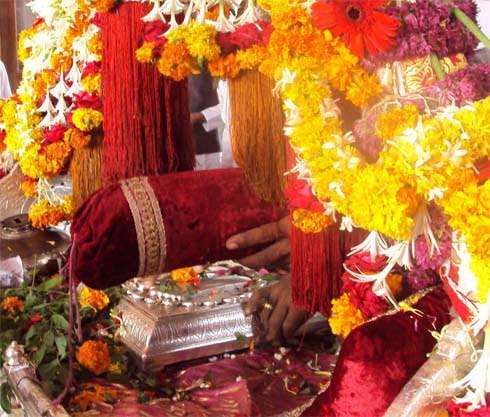 The Palkhi or Palanquin contains the Padukas or foot prints of Sant Tukaram. On the second day of the yatra, the palki of Tukaram Maharaj arrives at Akurdi Vitthal temple and halts there for the night. On the third day of the yatra, the palki halts at Nivdungya Vithoba temple at Nana Peth. On the fourth day, the palki stays in the city. Complete rest. The palki proceeds towards Pandarpur the next day morning and leaves Pune city. Millions of people participate in the Pandarpur Yatra and the journey is known as Waari in Marathi, meaning a holy pilgrimage. The three-week long walk by foot from Dehu to Pandarpur covers nearly 450 kilometers. The aim of all the Warkaris is to reach Pandharpur and offer their respects to Lord Vithal, an incarnation of Lord Krishna, and emulate Sant Jnaneshwar and Sant Tukaram. The origin of the Pandarpur Palki (palanquin) tradition in the present form is associated with Sant Tukaram and his family. 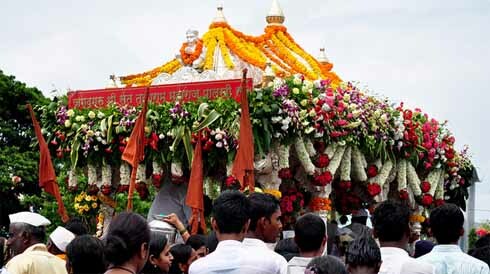 The Palki, or palanquin, procession from Dehu was started by the son of Sant Tukaram. He carried the silver padukas (footsteps) of Tukaram in the Palkhi to Pandarpur and the tradition is still continued. Pilgrims travel in group known as Dindi singing bhajans composed by Sant Tukaram and Sant Dnyaneshwar. Shri Tukaram Maharaj Palki from Dehu and Sant Dnyaneshwar Palki from Alandi meet at Pune during the pilgrimage. From here they take different route and meet at Wakhri near Pandarpur. The yatra culminates on the Ekadasi day in the Shukla Paksha (waxing phase of moon) of Ashada month as per Marathi calendar. 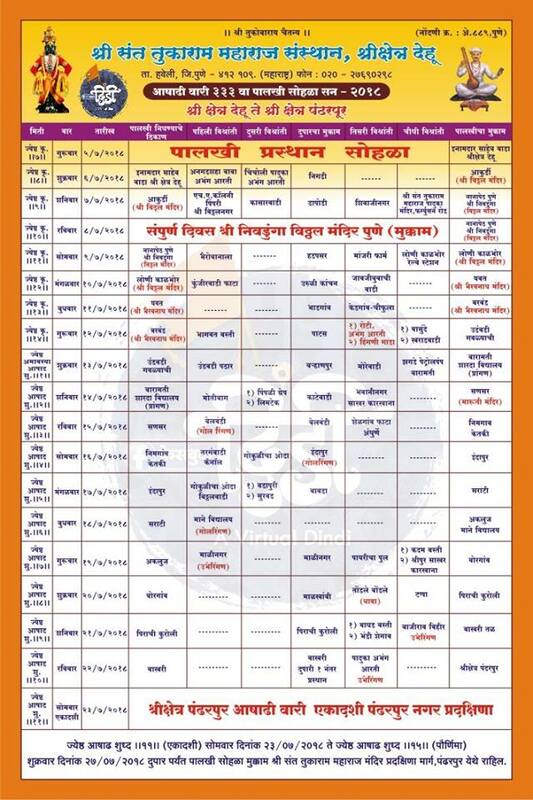 Aheads towards Akurdi and stays at Akurdi Vitthal Mandir on June 25, 2019. Complete stay in Pune city on June 27, 2019. Leaves Pune city on June 28,2019 via Hadapsar, Manjari, Loni Kolbar Railway Station and stays at Loni Kolbar Vitthal Mandir.